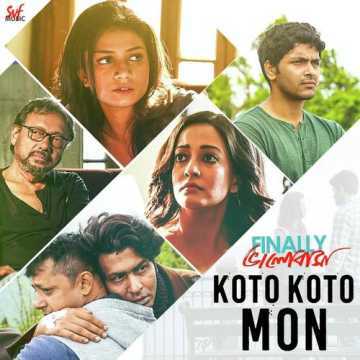 'Koto Koto Mon' song from director Anjan Dutt’s upcoming film Finally Bhalobasa is a melodious composition by Neel Dutt. 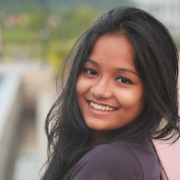 The recently song has been soulfully rendered by Madhubanti Bagchi. Penned by the director himself, the song speaks of the eternal search for love. In Anjan’s own words, souls wander in homes and in the streets. Sometimes they find love; sometimes love deserts them, yet the eternal search goes on. Life is a great teacher. We gradually learn to cry with laughing. We open our hands when we are almost on the verge of forgetting. Amidst all the hopelessness we find new friends and we learn to live again. As Anjan says, love takes time, but it definitely arrives. At the end, the song urges to move on with time and always keep our hearts open for news hopes and dreams. Contrasted with visuals in a dark coloured tone, the lyrics of the song come up with immense positivity and optimism. On screen, we see Sauraseni Maitra playing the saxophone and gradually engaging herself into a romantic embrace with Anjan (who also plays an important role in the ensemble cast), gently swaying to the tune of the song. In the trailer released earlier, Anjan’s character was shown to be reluctant to fully express his love for Maitra's character. Here the sequence of the song seems to be a breaking point in this regard. The equation between Anirban Bhattacharya and Suprobhat Das, and Raima Sen and Arjun Chakraborty can be seen in the light of the words that describe love needs time and friendship rejuvenates life. Bagchi’s voice glides soothingly in the song that gives off a jazzy vibe. Neel’s musical arrangement deserves a special credit in making the song an entirely urbane, yet heart-wrenching composition. Finally Bhalobasa is slated to be released on 8 February.